Monsieur Yves Saint Laurent once said: "Fashions fade, style is eternal". This is an unquestionable truth, but what paves the way to eternity is certainly Intellectual Property and its protection. 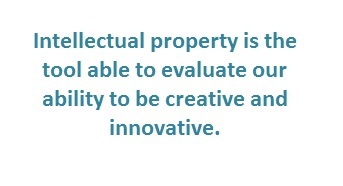 In fact, Intellectual property is the tool able to evaluate our ability to be creative and innovative. It’s the measure of the possibility to create something unique, which can affect the progress and our future and generate benefits for ourselves, for the people around us – sometimes for all humanity. Innovation, creativity, know-how, research, but also the appearance of the products, as well as the attractive character of the marks, are all key factors that enable companies to be competitive in a highly globalized market, which selects products on the basis of quality. More and more often, consumers choose a product paying particular attention to its aesthetic aspect, to its design. Also brands and their reputation are attracting consumers, like it happens with trademarks such as Valentino, Armani, Versace, Gucci and all other leaders of the Italian fashion industry which, on the basis of the reputation that the respective companies have been able to create and maintain throughout the years, have attained significant portions of the market. 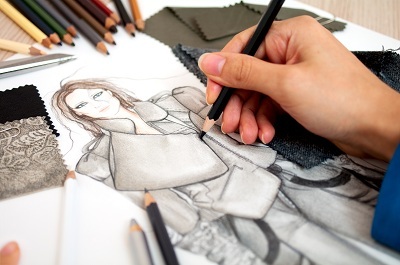 Fashion IP in China: from trademark protection to the fight against counterfeiting. Speaking of luxury and fashion industry, several topics may come to the readers' minds when approaching IP related matters: trademark protection, design patent, copyright and counterfeiting. With particular reference to trademarks, there are two main factors that often represent an obstacle to foreign Fashion companies deciding to expand their businesses to China. On the one hand, China has a "first to file" trademark jurisdiction. That means that protection is granted to those who first file a trademark. The "first to file" rule has been a huge issue for foreign companies, considered the common practice of local entities who apply for other's trademarks in China or for similar versions in order to get the "first to file" privilege. On the other hand, the differences in language are to be considered. In fact, when applying for a trademark in China, the applicant should think about filing also the transliteration of his trademark in Chinese characters, as well as protecting its phonetic translation, or both them. Recently, in July, the Chinese Trademark Review and Adjudication Board (TRAB) in Beijing overturned the decision of the State Intellectual Property Office to grant a trademark to "Michael Bastian" and a Chinese transliteration to an unrelated entity. In particular, the TRAB applied the principle of honest and good faith, even though there was insufficient evidence of Michael Bastian’s use of the trademark or publicity in China prior to the date of filing by the defendant. This decision represents a landmark in the application of the principle of good faith, that makes possible for foreign entities to rightfully use and register their trademarks in China, even though they have been subject to trademark hijacking. Another pivotal aspect that emerges in relation to fashion IP is the fight against counterfeiting, a phenomenon that affects the whole Chinese industrial system and somehow represents a source of wealth for China. As the China customs agency report revealed, in 2014 seizing has increased significantly: customs Authorities have suspended the clearance of 27.000 shipments, of which 24.000 suspected of IPRs infringements (mostly related to trademarks) and 95.5% intended for export. Among all the goods seized, the 8% concerned apparel, while the 1% concerned footwear. Multinationals, SMEs and Foreign brand owners are the target of counterfeiting and IP theft, and two assumptions have to be made. On the one hand, brand protection activities should focus on certain IP rights and products and should be specifically directed to certain areas; on the other hand, investigative and inspection activities should be outsourced to external professionals and firms. That is because brand owners companies may not be able to invest sufficient resources in conducting investigations and in combating IPRs infringements throughout China in general. Moreover, in the case they manage to build up an investigative team, it would face some difficulties in covering all possible manifestations of counterfeiting of all the company brands. Counterfeiting affects particularly foreign brands, amongst which luxury brands, which are concerned not all in the same way. 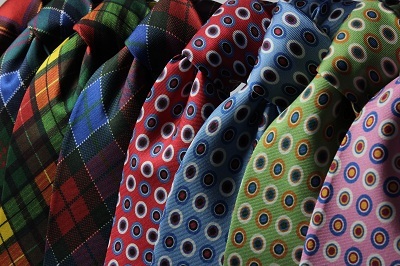 In facts, fashion brands often suffer dilution, losses of investments and market share. Generally speaking, counterfeiting in China shows some typical structural aspects, even though the products concerned are various, and so their demand and supply. If manufacturing and warehousing are mostly conducted covertly, trading is carried out openly, also through the Internet. Counterfeiters can be divided into three categories. First, it is possible to find individuals or small-scale businesses, who conduct both legitimate businesses and illegal manufacturing and trading activities, or small underground workshops. These entities may run their own counterfeiting business autonomously or may be part of the production chain in the manufacturing, warehousing or trading phase, often without any idea of the head of the chain. A second category of infringers consists of organizations economically sustained and managed by financially capable entities and individuals which carry out several businesses − undercover or legitimately registered companies − to carry out their large scale counterfeiting ventures. Each of the entities involved in these organizations perform the activities of manufacturing, labeling, trading, distributing, selling etc. Therefore, the reseller often ignore the manufacturer of the products exhibited in its market stall or sold on the Internet. This second manifestation of counterfeiting, due to the widespread dissemination of different individual and independent units, it's harder to fight through single interventions against each of the external manifestations of the infringing venture (shutting down domain names, and e-commerce sites, raiding of retailers, factories or warehouses). The third category of counterfeiters includes Original Equipment Manufacturers (OEMs) or their employees, which have no knowledge of the head of the counterfeiting chain, and which may decide to outsource the manufacturing of parts and components to illegal ventures in order to boost profits. Once having seen the dynamics behind the counterfeit goods production, let's see where they are sold, i.e. the Internet, the place where the most part of IPR infringements occur. One of the main Chinese e-commerce platform, Alibaba, has been criticized by the State Administration for Industry and Commerce for the lack of protection for brands on its platforms and for the poor quality of the goods sold online, and is now investing many efforts in the fight against counterfeiting. In this framework, on the cyber-law side, the Chinese Parliament has published on July 6, 2015, a draft cyber security law (available at http://chinalawtranslate.com/cybersecuritydraft/?lang=en) that tightens Beijing's control over data, with potentially significant consequences for Internet service providers and multinational firms doing business in the country. In particular, the document boosts users privacy protection from hackers and data resellers, but, at se same time, strengthens the government's powers to obtain records on and block dissemination of private information deemed illegal under Chinese law. Citing the need "to safeguard national cyberspace sovereignty, security and development" the proposed legislation will allow China to bolster its networks against threats to stability and better regulate the flow of information. According to the draft law, Internet Service Providers must store data collected within China on Chinese territory, while the data stored overseas for business purposes must be government-approved; moreover, Network equipment must also be approved under testing standards issued by China's cabinet. The leading government body appointed for making and enforcing policy for the Internet is the Cyberspace Administration. In practice, the law would oblige ISPs and platforms to actively monitor user activity and delete content that is forbidden by law in order to prevent that information from spreading. Under current practice, both ISPs and Content Service Providers are required to designate some personnel to handling censorship notices issued by Government and party authorities, and to implement these requests round the clock. The draft law explicitly states that failure to prevent illegal information from spreading will result in punishment including warning, fines and even forced closures. Law enforcement can also enlist network operators’ help for national security and criminal detection purposes. Moreover, the draft provides for the network operators to require users to provide real identity information when signing service agreements to ensure the traceability of their Internet activities and content. If users do not provide real identity information, network operators must deny them the relevant services. While the draft imposes obligations to protect privacy on the ISPs, it does not impose equally comprehensive obligations on public authorities in relation to their collection and processing of personal information within the broad scope of ‘Internet security maintenance’. The draft has already met some critiques, since as many Chinese laws, the language is vague enough to make it unclear how the law will be practically enforced. Others said that the draft law would institutionalize censorship practices that were not explicitly formulated before. IPRs enforcement in China, with specific regard to the fashion industry, relies on the choice of the instruments offered by Law. Sometimes, a strategy which seems to be less expensive or easier, may result in an unsuccessful loss of time. Therefore, the choice of the right enforcement strategy is crucial. China has a dual-enforcement system, where trademarks and design patents can seek enforcement before a civil court (People’s Court) or a specialized administrative organ. Generally, these are costly and time-consuming, and more suitable for traditional patents and trademarks infringements, rather than anti-counterfeiting suits. However, it is possible to claim for the economic damages derived from a trademark/design patent infringement only before the People's Court. In order to obtain an injunction, the applicant has to pay a deposit, and the infringer will be notified and invited to a hearing and file opposition to the injunction (this notification is also typical of administrative proceedings). Later, the applicant must substantiate the injunctive order by filing a civil lawsuit (within 15 days from the injunction) in order to keep the seizure legally binding. Another risky aspect is that counterfeiters are often letter-box entities without sizeable assets, that means that brand owners may find themselves having spent a lot of money without any concrete result. As far as Criminal Law is concerned, counterfeiting becomes a relevant criminal conduct only when it reaches certain thresholds set forth by Law, on the basis of the amount of counterfeited goods and illegal revenues involved. Given this situation, it's a common practice for infringers to manage production and storage in order to avoid inspections carried out by police forces, by reducing the time in which products are stocked in factories and warehouses and accelerating the shipping phase, and, moreover, by dividing shipments in small units. A valid alternative to civil proceedings is represented by the administrative enforcement. That is because administrative enforcement authorities are able to conduct inspections without previous notice to the infringer, upon request of the right holder, and also are entitled to order the destruction of the counterfeit manufacturing tools. In order to access the administrative enforcement and the related raids aimed at destroying counterfeiting tools and materials, the brand owner has to provide the competent authorities with specific information on the infringing entity (it is common for brand owners to rely on investigators). Once having checked the results of the investigations, the Administrative Authorities carry out their inspections, and then, if the brand owner confirms the counterfeit nature of the seized goods, these will be destroyed and the counterfeiter will be fined (normally a rather small monetary fine). The critical aspect of the administrative remedy is that the authorities involved are often not so prepared to take action, and, sometimes, investigations are unsuccessful because infringing entities receive notice of the upcoming raids in advance, so they are able to hide all the relevant evidences. Within the context of administrative enforcement, enforcing design patents before administrative Courts could deal a heavy blow to infringer, since it is possible to obtain an administrative injunction to destroy the manufacturing machines, which represent the most significant asset of the counterfeiter. The only downside of the administrative enforcement is that it requires the notification of the infringer, just as the civil one. In conclusion, having considered the complexity of IP Chinese law and the various opportunities of legal protection, a brand owner in the fashion business should evaluate how to protect his products properly, regardless of each individual legal instrument set by law (trademark, design patent, copyright). In fact, the principle of interdependence of intellectual property rights allows to ensure an adequate level of protection by ensuring each and every aspect of a single product. It is important to understand that industrial property rights are not mutually exclusive, but they may complement each other, and that the simultaneous enforcement of the rights relating to the same product turns to be the more effective way to manage and enhance them. This is what the most successful brand owners have already understood, by affording their goods, at the same time, the protection granted by trademarks, copyrights and design patents.